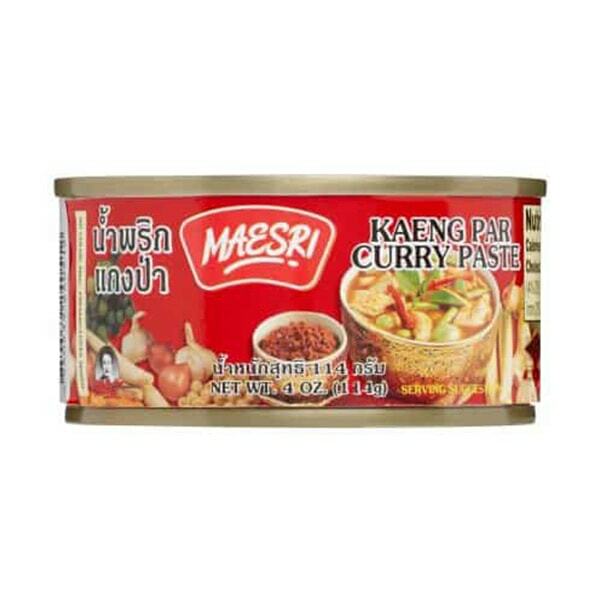 Red curry paste is used to make Thai red curries or stir-fry dishes such as meat. It’s made of dried red chilies , garlic, shallot, lemongrass, spices, galangal and other seasonings. They come in plastic tubs, glass bottles or in a small can (picture above). I always buy the small can as it’s cheaper and there is usually no wastage.